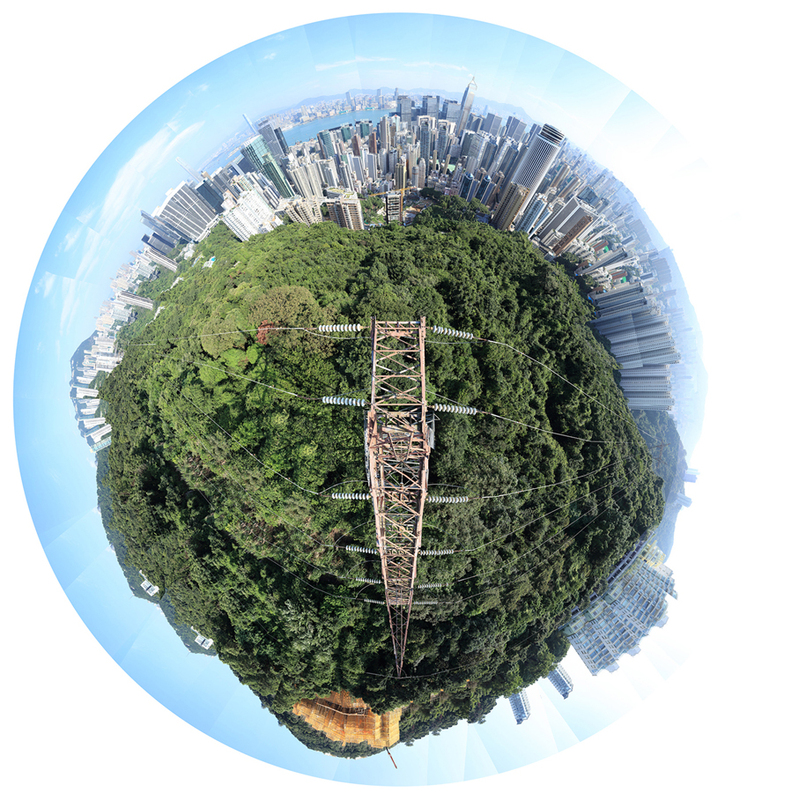 Wouter van Buuren explored the landscapes of Hong Kong Island by climbing into electricity towers and photographing from their summits. The resulting works are patterns of photographs in either circular or rectangular compositions. The circular compositions are made of photographs shot from one electricity tower.